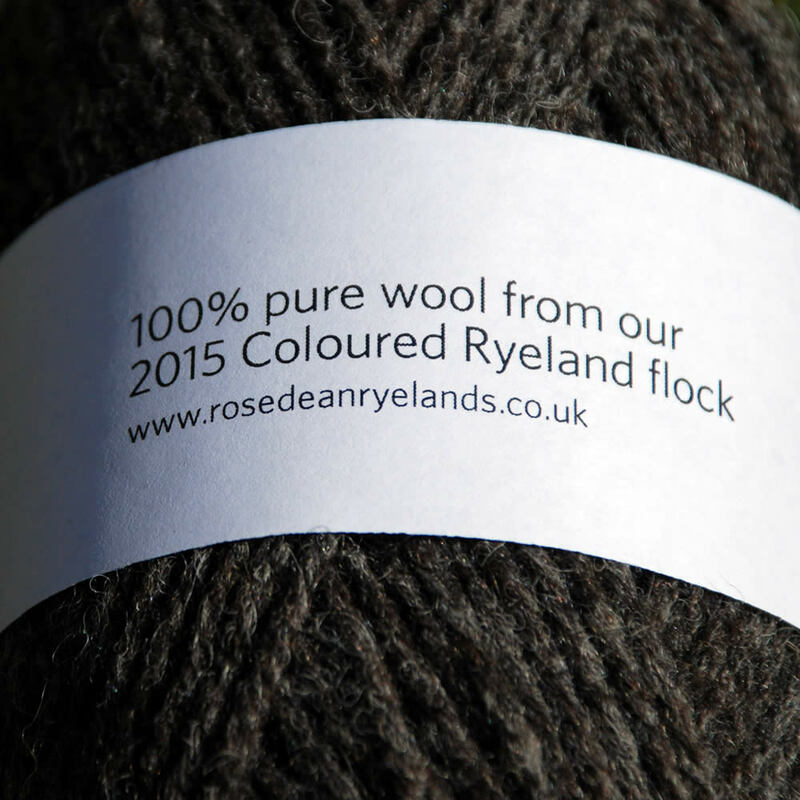 100% pure, undyed double-knitting yarn from our 2015 Coloured Ryeland flock. Each ball is 50g / 110m. 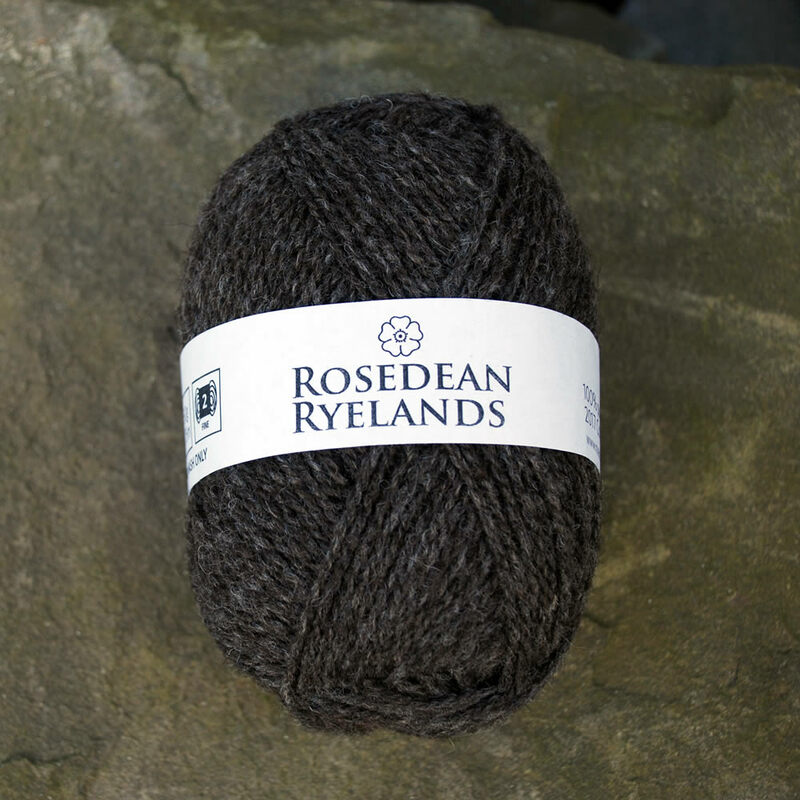 The colour is a blend of all of our coloured fleece from 2015 – Ryeland fleeces range from dark chocolate brown through mid-browns to silver and light gray. 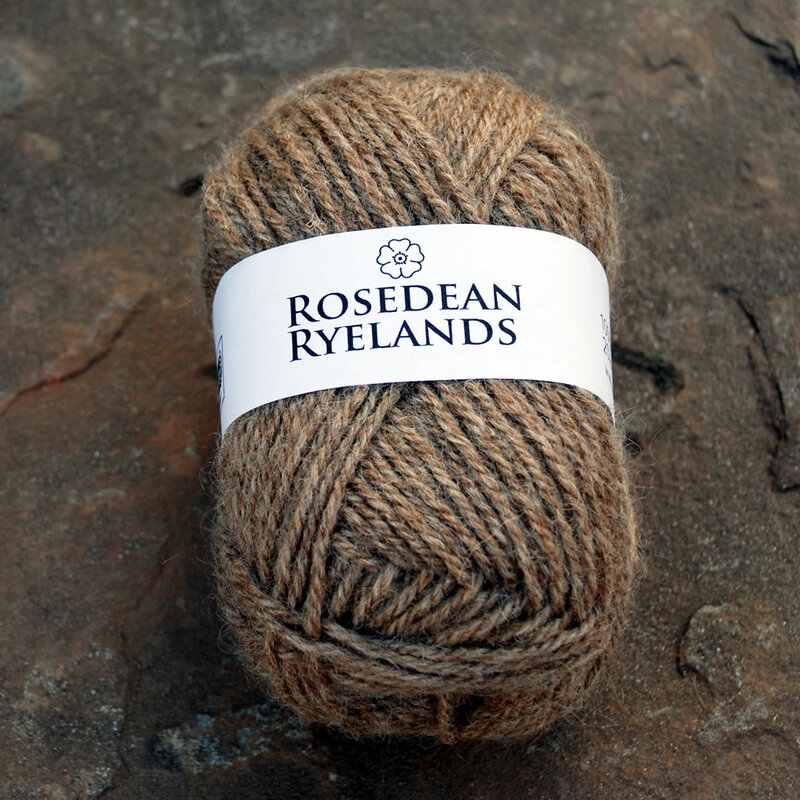 This new yarn is produced from the 2015 clip from Rosedean Ryelands coloured sheep. This small flock of pedigree sheep was established in 2007 and is now kept on a 12 acre smallholding in Barry, Angus. 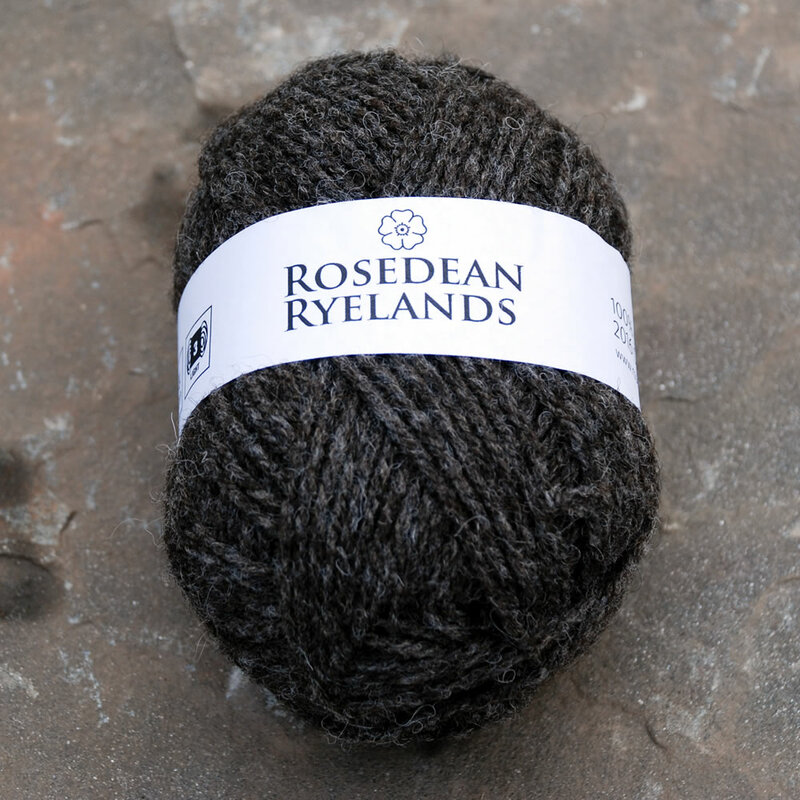 The Ryeland is a very old breed originally from the Hereford area and was developed by the monasteries there to graze the rye pastures – hence the name. The breed fell from favour in the 20th century and by 1974, there were only 980 breeding ewes left – and the breed was recognised as “rare” by the then newly formed Rare Breed Survival Trust. Since then numbers have recovered and the breed is now recognised as “native” rather than “rare”. 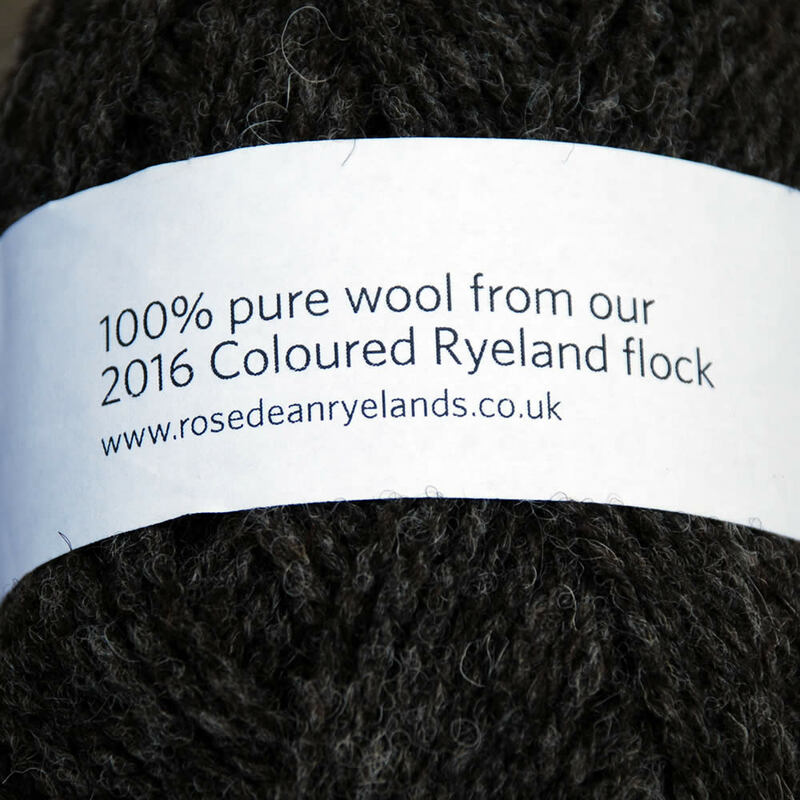 Coloured Ryelands has experienced a rapid rise in popularity in recent years. The breed is popular with small-scale and new sheepkeepers as it is relatively small, docile and has good feet. The teddybear appearance undoubtedly helps too. 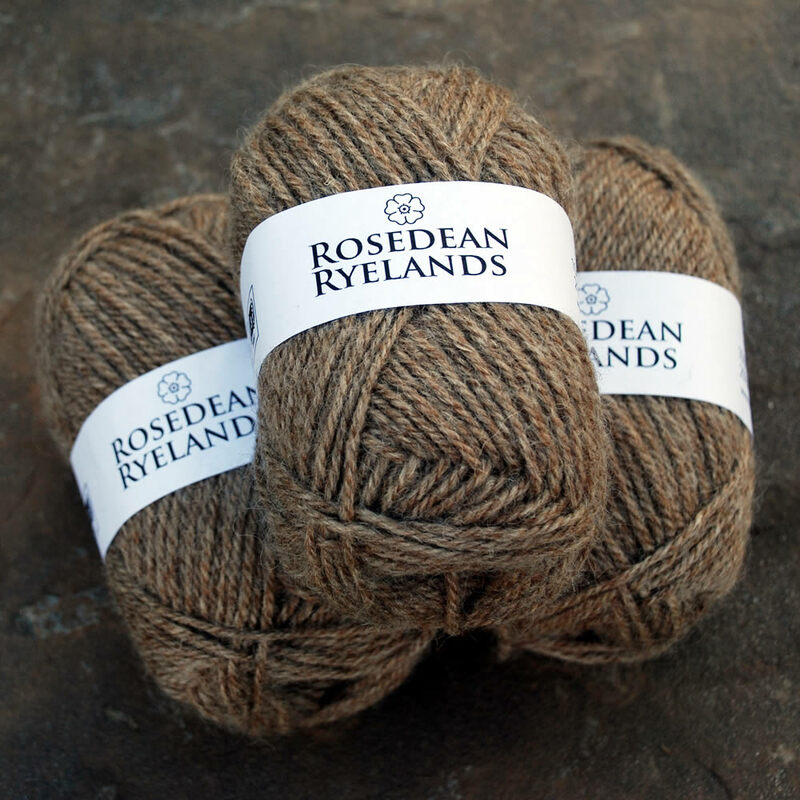 Processed by the renowned Natural Fibre Company, this 100% pure, undyed double-knittng yarn is a blend of all of our coloured fleece from 2015 – Coloured Ryeland fleeces range from dark chocolate brown through mid-browns to silver and light gray. Each ball is 50g / 110m. Hand-wash only. 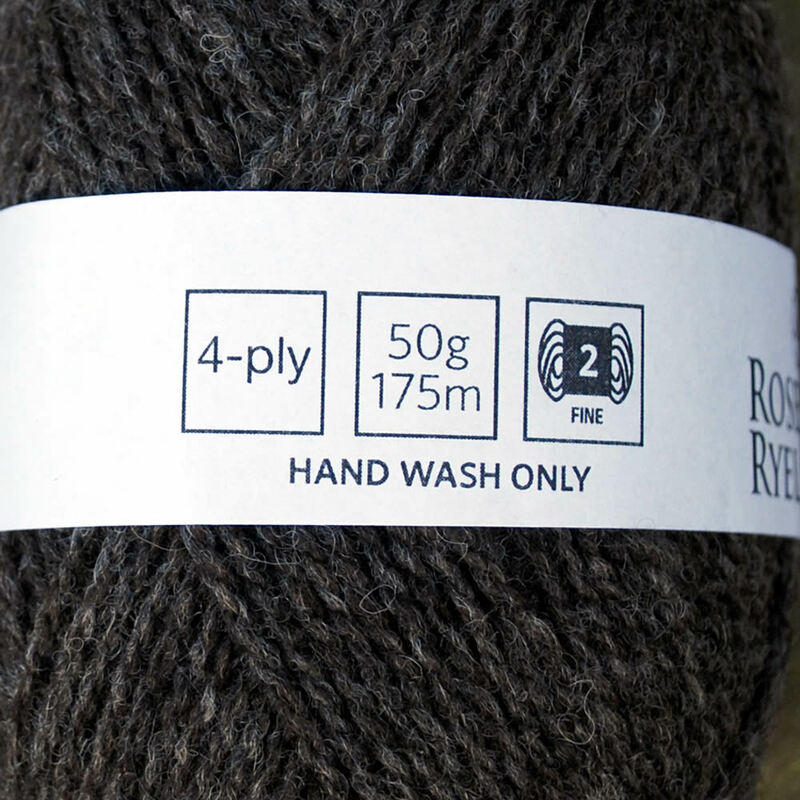 I actually bought this wool to send over to New Zealand as part of the Truly Myrtle great local yarn swap, (I bought the 2016 light wool for myself). 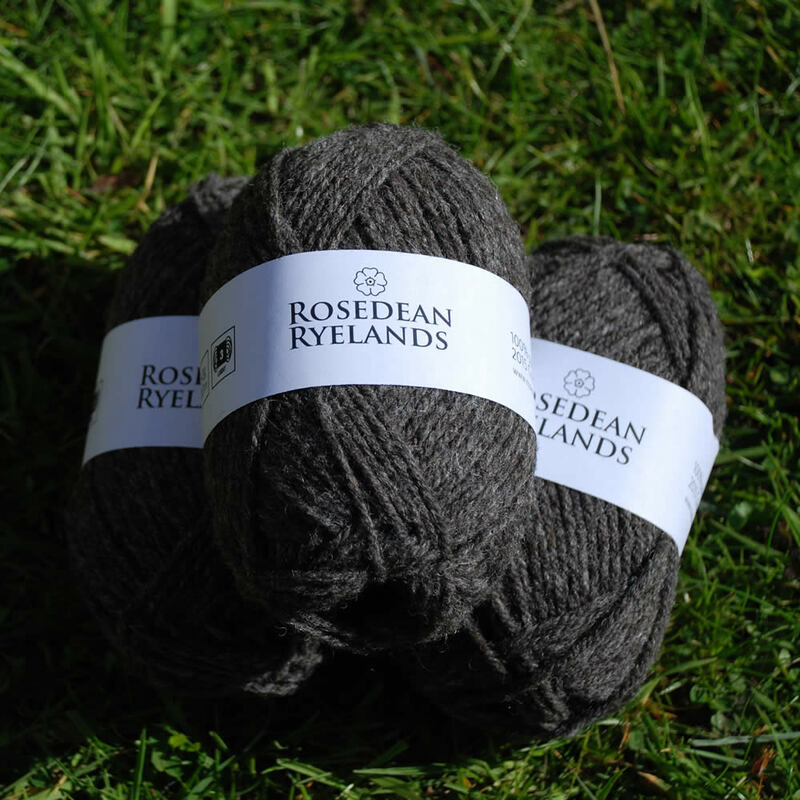 The recipient of the wool was delighted with it! 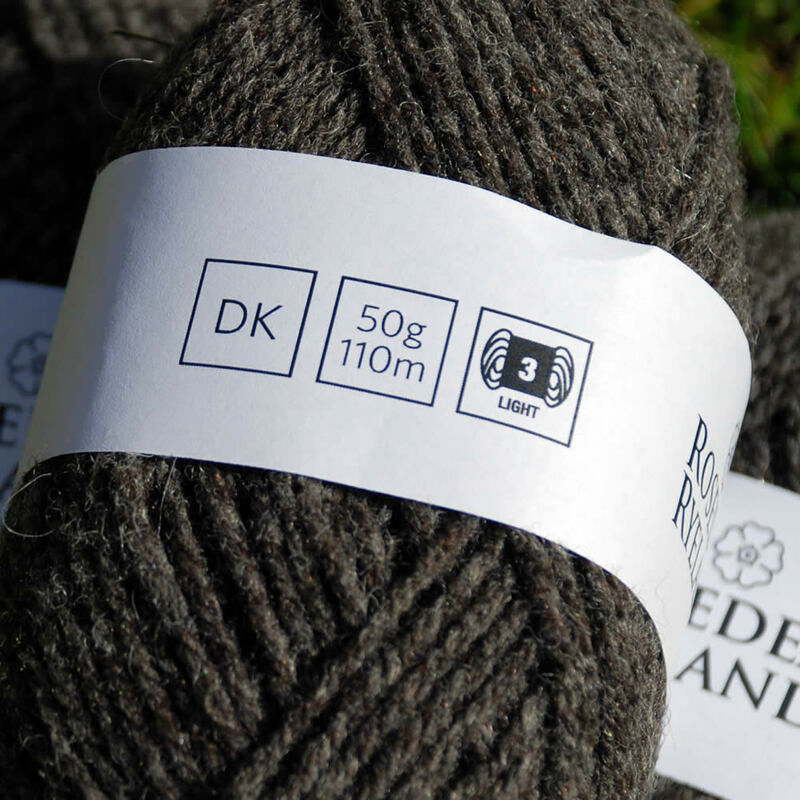 Yarn is excellent by all means! Not too dark though, just right mix of brown and gray, complementary to any complexion! 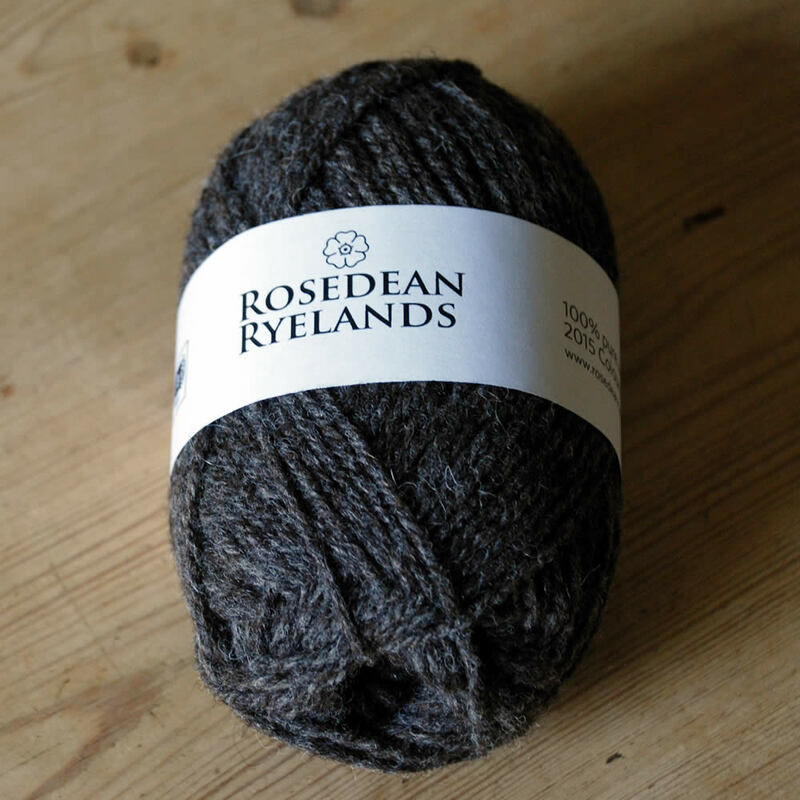 It feels lofty in its best sense and indeed delivers lightweight warmth without bulk. Marvelous product, marvelous customer service! Thank you very much for your business!